- A lot of readers continue to inquire about the WWE status of Chris Jericho. Jericho responded to a Tweet this weekend, saying he has "no plans" as of right now to return. - Brock Lesnar is expected to be part of WWE &apos;12 on the Legend&apos;s roster. The addition has not yet been announced by THQ. Click here to see more tweets from Young. Vote now on the name of our first show, a retrospective on the greatest entertainment spectacular of all time, WrestleMania. Each episode will transport you back to a single WrestleMania, starting with the Show of Show&apos;s thrilling debut at Madison Square Garden in 1985, all the way to WrestleMania XXVIII in Miami. Join us as we revisit each epic event through complete matches, never-before-seen footage, and in-depth commentary from the Superstars and Legends who&apos;ve shared WWE&apos;s grandest stage. - As I reported last week, The Great Khali was booked on Smackdown a couple weeks ago under the assumption he is gone from WWE. Khali&apos;s WWE contract is coming up soon as he had been negotiating for a new deal for several months. Talks ended up breaking down and now it looks like he will not be returning to the company. Earlier this year WWE had decided to make expanding the Indian market a priority. At that time, re-signing Khali was considered to be important, Jinder Mahal was in line for a push and the company was doing extensive scouting for more Indian talent. A name we mentioned WWE was considering at the time was Sonjay Dutt, who ended up not being available. During this time, negotiations with Khali went back and forth with Khali wanting a lot of days off. WWE was originally open to granting his request because of how high of a priority it was to re-sign him. As is often the case with many things in WWE, something that Vince McMahon considered to be an urgent priority quickly became another forgotten/delayed project. In recent months, it&apos;s been decided that WWE&apos;s expansion plans in India were too aggressive and so many resources should not be poured into trying to expand a market that is already beginning to soften. Once this became the case, the priority to re-sign The Great Khali was much lower. Many in the company felt his character had ran its course and they had done all they could with it. Khali was informed by WWE management he required too many days off and the decision was made not to re-sign him. He was told after he had some time off to return home to India, they would be open to exploring a new deal in the future. While financial terms of Khali&apos;s deal were not disclosed to me, I&apos;m told it wasn&apos;t cheap and didn&apos;t make sense with the Indian expansion plans grinding to a halt. While WWE has slowed on their expansion of India, I&apos;m told TNA Impact Wrestling is suddenly very interested in expanding into the country. One observer commented how they always seem to be one or two steps behind WWE in all regards. Perhaps in a few months they too will decide to cool their jets when it comes to India, but in the meantime, I&apos;m told they&apos;re exploring launching a new India-only TV show starring Sonjay Dutt. TNA hopes to find other Indian wrestlers as well for the new show although I&apos;m sure they&apos;ll soon find out like WWE did there are not many options. Andre the Giant is a trademark of the Andre R. Roussimoff Testamentary Trust. Keep in mind Andre hasn&apos;t been announced for the game and is not listed on the page as of this writing. - TMZhas confirmedBrock Lesnar will be in the upcoming WWE &apos;12 video game. Commercials starring Lesnar will begin airing tomorrow. Dana White commented on Lesnar being featured in the game. "I love WWE and I have nothing but love for Vince McMahon -- I&apos;m totally OK with Brock being in the game." - BG James, formerly known as the Road Dogg, is getting a 6-week trial as a producer in WWE. James called it his "dream job" today on Twitter. - Wrestling News World reader Brian Duffy sent word The Rock is being advertised locally for the November 14th Raw Supershow from the TD Garden Boston, Massachusetts. This is the go-home edition of Raw Supershow to WWE Survivor Series. As of this writing, he is not advertised on the event listing on the official WWE website. Thanks to Wrestling News World reader Mark Doyle for sending this in. - Wrestling News World reader Fernando sent this in... IGN has an article on Brock Lesnar being included in WWE &apos;12. Besides promoting his appearance, Lesnar also answers if he would return to WWE and who would like to face if so (he mentions a "streak", so take your own conclusions. Click here to read the full article. - Prior to the start of tonight&apos;s Smackdown taping, Triple H and Shawn Michaels made an off-camera appearance as DeGeneration X. They cut a non-PG promo and teased Wrestlemania for Cowboys Stadium in Arlington, Texas. Vince McMahon came out and interrupted the tremendous pop. "I was a true wrestler. I was a Division I national champion. I came into the business wanting one thing and one thing only, and that was to be the champion, and I wasn&apos;t going to let anybody stand in my way. I think there was one guy that had a problem with that and that was Undertaker. If I were to have gotten in the ring with him I would have ripped his arm off and f------ beat him with it." I think I will. I think under the right circumstances I will. I think if Vince McMahon and I were able to sit down at the same dinner table and break some bread that we could come up with some kind of game plan. At the end of the day, I&apos;m an ultimate fighter. That&apos;s who I am and that&apos;s who I&apos;ll always be. I was an entertainer but at the end of the day, I&apos;m still as real as it gets. I think a lot of things have to fall in the right places for something like that to happen. -The Miz, Kofi Kingston, John Morrison, Eve, and Gail Kim will be appearing on Family Brain Surge, a game show on Nickelodeon, this Thursday at 6 p.m. ET/5 CT. The Superstars and Divas will be competing to raise money for the Make-A-Wish Foundation. -The first season of WWE Tough Enough from earlier this year will be finally aired in India starting on October 22nd on TEN Sports which broadcasts all WWE TV & PPVs. No idea why there was such a long delay but its finally going to air! "Ironically it&apos;s probably the guy that walked out on me. The guy that took his ball and went home. A guy that I was supposed to face and I think that he was just plain downright scared to get in the ring with me because he was one of those guys that was on top and saw a huge threat in Brock Lesnar at the time. That&apos;s &apos;Stone Cold&apos; Steve Austin. I worked with everybody and anybody that was anybody there and if I came back, I think the guy that I would come back to fight is &apos;Stone Cold&apos; Steve Austin." So @DCBROCKLESNAR was talking trash about me...very interesting. Gonna finish my beverage and mull this one over...catch y&apos;all tomorrow. 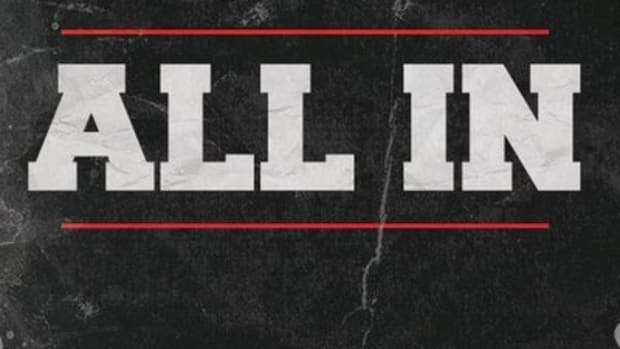 Trying to go to sleep..but this @DCBROCKLESNAR thing is winding me up a bit...relax....breath...relax...breathe....no use..to be continued..
- Jim Ross noted today on Twitter he&apos;ll be going to Stamford, Connecticut next week to tape two Legends Roundtable shows. - William Regal is booked for Harley Race&apos;s World League Wrestling show on October 22nd. Click here for more information. - WWE has announced a January 6, 2012 house show from the Mississippi Coliseum in Jackson, Mississippi. - Jim Ross discussed his on-screen "firing" from WWE on this week&apos;s Raw Supershow with Sean Pendergast of Yahoo! Sports Radio yesterday. He said he had no idea of the "firing" and said it was a complete "surprise." JR called the angle an "embarrassing moment." When asked if it was just a storyline, he said he was not informed of the storyline. JR then said he believes WWE management has made the decision to go with a different presentation at the announce position and he is not in the plans. You can listen to his comments at this link. WWE asked, what does it hurt me? He&apos;s still in my game too. Yes, the line is crossed if WWE wants him on pay-per-view. He&apos;ll never wrestle while he is under UFC contract. - "Rowdy" Roddy Piper is still recovering from surgery to repair a broken neck and is wearing a brace. He&apos;s scheduled to appear at the Rock and Shock Festival in Worcester, Massachusetts this weekend from the DCU Center and The Palladium. It will be Piper&apos;s first public appearance since undergoing surgery for the very serious injury. - While John "Bradshaw" Layfield hasn&apos;t been contacted by anyone in WWE, he recently said he would accept an on-screen role as the company&apos;s Raw General Manager. - Gail Kim leaving WWE had an effect throughout the WWE locker room as she was close friends with several of the Divas currently on the roster. More than a few Divas share her frustration in the booking of the division. Gail is currently roommates with TNA Knockout Traci Brooks. - One kick that Vince McMahon has been on lately is to make Raw Supershow a more "interactive" show by the use of Twitter. This is why the company had John Laurinaitis open a Twitter account and as of this writing, he is up to over 15,000 followers. With WWE now policing Twitter, workers have remained in-character much more than usual. 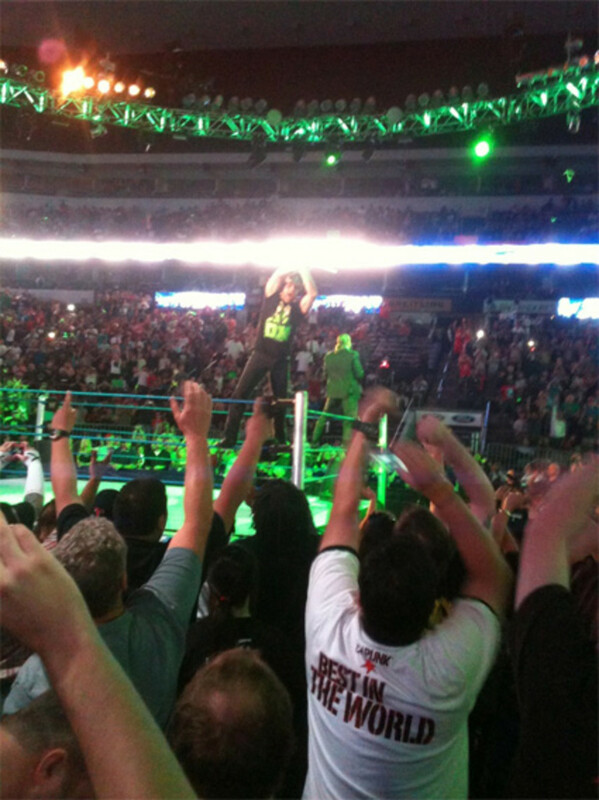 - D-Generation X reunited in an off-air segment during this week&apos;s Smackdown tapings. Wrestling News World reader Ashokprovided us with fan footage of the appearance, and now the official WWE website has posted official footage. Click here to watch the segment. "A reality show that welcomes you aboard the private Divas tour bus as it travels from venue to venue. Cameras will roll 24/7, capturing the unscripted bonds, battles, and behind-the-scenes drama that only our WWE Divas can deliver when their public and private lives merge on the open road." 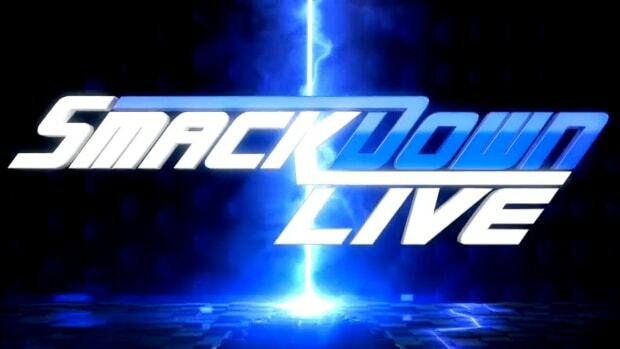 NEW YORK - October 14, 2011 - Following the record setting performance of Syfy&apos;s first ever SuperSmackDown Live special on August 30th, Syfy and WWE announced today the next WWE SuperSmackDown Live special will air Tuesday, November 29 at 8PM/ET. The Tuesday night special will feature WWE&apos;s biggest Superstars and Divas, including Randy Orton, Sheamus, World Heavyweight Champion Mark Henry, Big Show, Christian, Sin Cara, Cody Rhodes, Wade Barrett, Daniel Bryan, Natalya and Alicia Fox. The special will re-air in Smackdown&apos;s regular time slot on Friday, December 2 from 8-10PM (ET/PT). The inaugural telecast of SuperSmackDown Live on Tuesday, August 30th pinned 3.3 million total viewers and was the most watched Smackdown ever on Syfy among Adults 18-49. Stitches r out & therapy is going well! Slow healing procedure but want to make sure I come back strong! 1 luv! - Jim Ross wrote on Twitter today he never expected to be used on weekly WWE television again. He does, however, expect to continue to work with developmental workers and stuff with the upcoming WWE Network. - Ring of Honor regular Kevin Steen was in attendance at last night&apos;s Impact Wrestling house show from the Complexe Sportif Claude-Robillard in Montreal, Quebec, Canada. Steen, who is from Quebec, was with his son. - Mike Mooneyham reported today that Ric Flair might not have to undergo surgery for a torn triceps after all. Right now Flair says the surgery is postponed because the injury is healing on its own. "The best development is that we&apos;ve got a lot of our own homegrown talent. The worst is that we&apos;re not growing them fast enough, or pushing them hard enough. You&apos;ve got Samoa Joe. He had been undefeated. I walked in and beat him on my first match. I didn&apos;t like that. Then I had AJ Styles, and he went to main event status. Then they backed off from him. Then we&apos;ve got Beer Money - James Storm and Robert Roode deserve to be main event status. We have Crimson and Amazing Red - we have all this talent, that&apos;s never been touched. We need to elevate that talent. And you know who can do it? Me. And the other older talent. I&apos;m not going to lie to you - I&apos;m only going to be wrestling for 3 more years. Then I&apos;m retiring. My job is to get this young talent to replace Kurt Angle. "I&apos;m going to be with TNA forever. I won&apos;t be wrestling, but I will be there. I will be involved in the creative direction, training and development. And I want TNA to understand that we have a lot of homegrown talent that I think is better than the talent over in WWE. So why aren&apos;t we using these guys, when they&apos;re that good? The older guys - Ric Flair, Hulk Hogan, Jeff Jarrett, Sting, Kurt Angle - the list goes on. Guys in their 40s, 50s and 60s. It&apos;s time to let the younger talent shine through. If we do that, then we&apos;re a new company. We&apos;ll get higher ratings, and we can compete with the monster, WWE." - TNA Impact Wrestling has canceled their October 29th house show from the Lawlor Events Center in Reno, Nevada. If you purchased tickets for the show, you can get a refund from the point of purchase. - Facebook is a valuable asset for anyone in the public eye but it is especially useful for professional wrestlers who are looking to get booked by independent promotions. However, being known by the public does have its downside - just ask Jesse Neal. I&apos;m told Neal had been working with Facebook to get a fake Jesse Neal profile shut down. However, the owner of the fraudulent account was doing the same thing to the real Jesse Neal and had been protesting he was the realTNA star. Facebook unknowingly accommodated the fake Jesse Neal account and deleted Neal&apos;s real Facebook. Neal was unaware until he logged on the other day and everything had been deleted. As of early this morning, his real profile was still gone. - Hulk Hogan appeared on Fox & Friends this morning to discuss his feelings on President Obama. He cites the president using his "Real American" theme music at this year&apos;s White House Correspondent&apos;s Dinner without asking for permission as one reason why he no longer supports him. Click here to view the full article. - Jeff Hardy has served his 10 day jail sentence and has been released. At last night&apos;s edition of Impact Wrestling, Hardy revealed he would in fact be appearing at Bound For Glory this Sunday. Click here for full coverage of the Impact taping. I just heard Brock Lesnar will be included in the new WWE &apos;12 game. Could that be the reason that Vince McMahon had a secret meeting with Dana White? The meeting wasn&apos;t secret because Dana White actually Tweeted about it on his personal Twitter account. The two sides met to discuss business and other things but a topic of conversation was Brock Lesnar. I heard there was talk about a possible WWE DVD project on Lesnar but the fact he is heavily rumored to be included in WWE &apos;12 could have been discussed as well. What&apos;s the back story on Chris Jericho leaving WWE in the first place? Chris Jericho&apos;s WWE contract expired and he walked away to pursue outside interests. Jericho had to turn down "Dancing with the Stars" once and wanted to take a break from the ring to be on the show as well as tour with his band Fozzy. Jericho also released the second part to his autobiography. He was believed to return to WWE this year but based on his most-recent comments, that decision might have been delayed. Will Booker T return to the ring any time soon? Booker T is retired from active competition and has adjusted well to his new role on commentary. He could still work if WWE had a storyline for him but as far as I know there are no plans for a full-time return. I understand that WWE sometimes feels the need to "humble" a worker but isn&apos;t flat-out burying, like the kind we&apos;re currently seeing with John Morrison, illogical from an economic point of view? Their wrestlers are essentially their products. By burying Morrison aren&apos;t they taking someone who could become one of their top earners and potentially ruining his value permanently? Any time a worker is buried they run the risk of having their character permanently damaged. This is why when WWE needs someone to get squashed by someone relatively unknown (such as Brodus Clay); they call in a local independent worker to do it. However, WWE does have the ability to build someone back up after jobbing them out. As for John Morrison, I don&apos;t agree with the way he is being booked but he&apos;s far from being "ruined." It&apos;s pretty obvious that whoever is victorious over Mark Henry and gets the World Heavyweight title will automatically get a huge push. If you could chose the winner, who would you pick and why? Mark Henry is receiving the push of a lifetime and given the record and defeats he has compiled, whoever "takes him down" is assured a monster push on WWE TV. It&apos;s possible Big Show could be the one to "get revenge" but I think it makes more sense to keep building his dominance. WWE needs to be very careful with who they put over Henry because it could really elevate a younger worker into a much bigger deal. One name I have thought seriously about lately is Sheamus. Sheamus has proved he can work in the main event and to take out Mark Henry would be a huge boost for a character that needs re-built. Big Show over Mark Henry in two weeks would seem underwhelming although it would guarantee him a serious main event run. Is the Anonymous Raw General Manager gimmick officially over? Barring what would likely be a last minute swerve, it appears the Anonymous Raw General Manager gimmick has been quietly swept under the rug. Not only was an opportunity missed but months upon months of TV time were wasted. They could always re-introduce the storyline but doing so after declaring John Laurinaitis the Interim Raw GM would make less sense than making Laurinaitis the GM in the first place. At first I was skeptical about the tag team of Air Boom but now I feel WWE has done a great job with them. What are your thoughts? The tag team of Evan Bourne and Kofi Kingston is fun to watch and has helped WWE to begin a much-needed makeover of their tag division. The biggest problem is there aren&apos;t any teams to program them with. If WWE is serious about re-establishing their tag division they need to introduce some new tag teams that can be taken seriously. If not, the WWE Tag Team Championship is only being built back up to be forgotten again. What&apos;s the deal behind the "firing" of Jim Ross? The "firing" of Jim Ross on last night&apos;s Raw Supershow was an angle but I do not know his future on WWE TV. The company loves to take shots at the expense of JR and didn&apos;t hold back in his hometown last night.